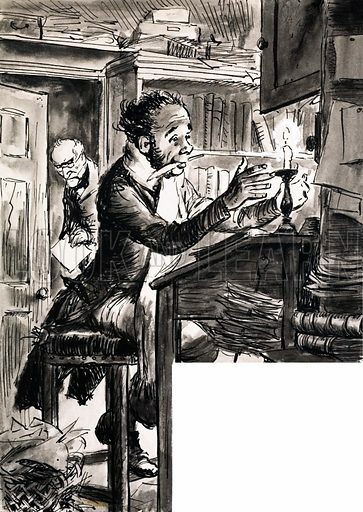 Dickensian clerk. Artwork dated 21/8/76. Original artwork loaned for scanning by the Illustration Art Gallery. Available worldwide for immediate download up to 3,370 x 4,748 pixels.